With all due respect to Charles Dickens, this is a tale of two cities: Brampton and Mississauga, connected by location, history, politics and regionalization. Both were communities of communities that, once they were thrown together, began a growth spurt that has lasted 45 years. Along with their rural partners to the north in Caledon, they have been stacked together to form the Region of Peel since 1974, the second largest such jurisdiction in the country, and home to almost 1.5 million. It was an arranged marriage, pure and simple, put together by Premier William Davis (1971-1985), the Brampton-born lawyer who once represented the County seat of Peel at Queen’s Park. At the time of regionalization, the union made political and economic sense. The area was mainly agricultural, had a light dusting of residents, showed little economic activity, and featured more rural routes than paved roads. The population base was homogeneous – mostly white and Christian – and was connected by a small web of public utilities. Pooling resources from three taxpayer sources paid for services and growth. The run on land, to feed the suburban ideal of a house with a two-car garage, began in earnest in the halcyon days of the 1960s. 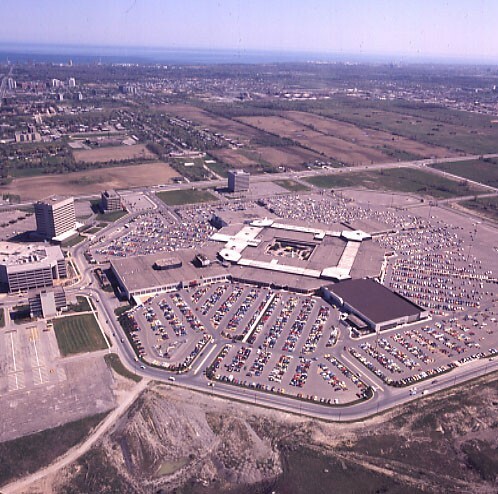 It struck Mississauga first, then Brampton, and turned both into sprawling, high-growth bedroom communities. Today, the marital arrangement between the partners feels far different, and arguments between the partners have devolved into full-blown sniping. In terms of population, the two largest municipalities in Peel are now powerhouses: at about 730,000, according to projections, Mississauga is the sixth largest city in Canada, while Brampton checks in at No. 9 with 650,000. The Flower City has a longer history (founded in 1853) and was home to the county seat and now regional headquarters. But in economic terms, Mississauga is a modern-day miracle, home to $9.2 billion in infrastructure assets, seven major highways, two main rail lines, 60-plus Fortune 500 companies, 93 major headquarters in total, and an international airport, all fueled by a healthy 65/35 split in its tax base – commercial-industrial versus residential. Brampton is a vassalage. Its tax split sits way on the other side, at about 25/75. This has created a mismatch and a tax-poorer jurisdiction. It is forever playing catchup with its richer and more successful cousin to the south. While Brampton is the second fastest-growing major city in Canada, and one of the youngest with an average age of 36.5, it lags badly in economic activity, something new mayor Patrick Brown vowed to address after taking office last October. Right now, whenever the Flower City has to dig into its pockets to pay for something, most of the money comes from stressed homeowners. It’s the result of terrible planning, pushed by developers and a series of councils over three decades. Mississauga isn’t interested in subsidizing its neighbour’s failures. It simply wants out of regional government. No remodelling. No amalgamation of the two into a super-city. Just out. Mississauga is more settled and is morphing to its next stage of development, the fill-in phase. The idea is to create a single-tier city, sans its regional commitment. 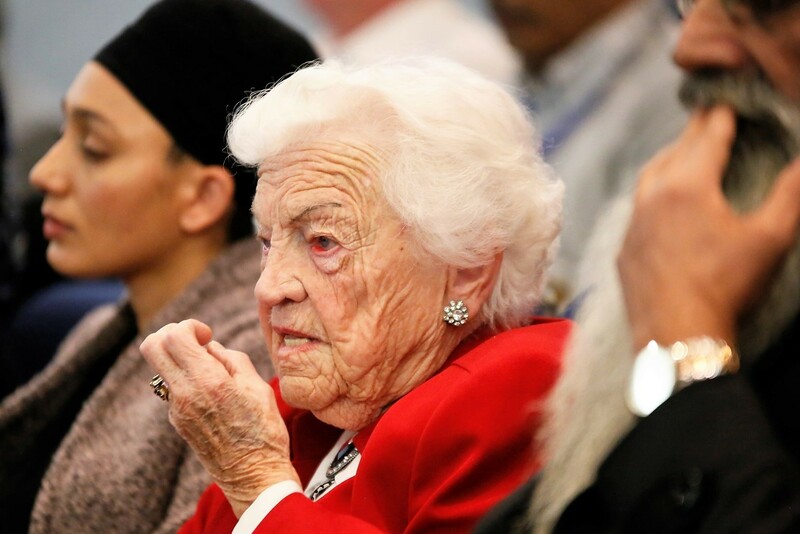 That was the dream of Hazel McCallion, who said Mississauga was the hub in the wheel of regional development since its inception. Over that time, it has paid a disproportionate portion of taxes, according to its leaders, collected from its own citizens and businesspeople to fund the growth of Brampton and Caledon. This grated on the civic icon since she first laid claim to the mayoralty in 1978. A secret meeting was held between McCallion and former Liberal premier Dalton McGuinty in 2005 over the prospect of an independent Mississauga. She had to settle for Bill 185, which gave her city more representation on regional council. She said the duplication of taxes and services to the region had held her city back from future greatness. She led an aggressive independence movement until her retirement in 2014. Now 98, she is not a spent political force, but consulted with Doug Ford in helping him win the premiership in June. The eminence grise of municipal politics was even tapped by him to be a paid advisor in his government – a job she smartly turned down. Since ’74, Mississauga has dominated Peel regional council: four of its five chairs have been from there, including the current CEO, Nando Iannicca; the city says it comprises 60 per cent of the population and has contributed upwards of 70 percent of the total taxes collected – a lot of it dispersed to Brampton and Caledon; it also holds 12 of the 24 seats on council. But its contributions far outweigh what it receives in return, said Mayor Bonnie Crombie, once a McCallion disciple, who grabbed the independence baton from her mentor and now runs with it. Dickens’s novel is about duality and the oppositional pairing of the cities in his book – Paris and London. Its theme was captured in its dichotomous opening: "It was the best of times, it was the worst of times." This is very much how Peel’s two largest cities now view regional government. Mississauga, nearing the end of its costly buildout and buoyed by its financial heft, says this is the best time in its history to get out. Brampton bristles at the prospect, and is still a work in progress, with more than 400,000 new residents expected to arrive in less than three decades. Who will pay for the cost of making room for them? It wants to retain the status quo. These two cities are clearly hoping for different outcomes when the Ford government releases a report in June (or later in the summer), compiled by two veterans of local government, Ken Seiling, former chair of Waterloo Region, and Michael Fenn, the former Ontario deputy minister. In fact, 82 municipalities in total are being looked at for restructuring, including regions such as Halton, York, Durham, Niagara, and other counties. Mississauga staff, updating 2003 work from an accounting firm that crunched the numbers, has composed a study of three options: separation, amalgamation with Brampton, and status quo. The city is all-in on the first one and has signaled its intent in a motion at council. 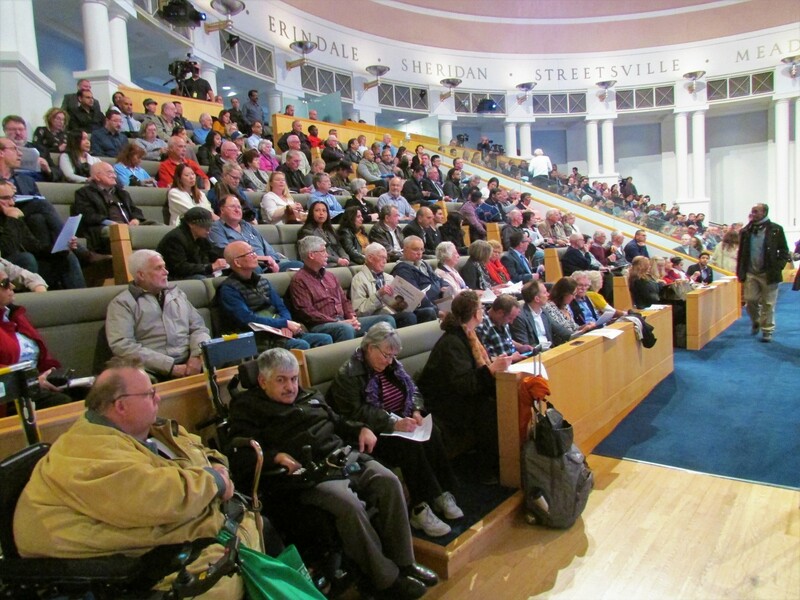 At Monday night's town hall meeting at the Mississauga council chamber, the city got feedback from 30 delegations, with a packed house behind them. Those presentations came in five-minute, bite-sized chunks, streamed live on Facebook and sent across Twitter. Both Facebook and Twitter followers were encouraged to send in questions to city staff and the mayor and councillors. The council chamber was jammed with spectators, and a proposed two-hour meeting spilled out well past the 9 p.m. hour. To most observers, the presentations seemed thoughtful and passionate, and the general consensus was this: the time is now for Mississauga to exit. Crombie began proceedings by saying independence for Mississauga is inevitable and that she would be very disappointed if the Ford government didn’t comply later this year. It is one of the largest cities in Canada without a single-tier form of government, said the mayor, pointing out comparable cities in a chart that was handed out as part of the report's executive summary. Mississauga is a world-class, 21st century city that has outgrown the outdated regional government model, she said. She cautioned the crowd that this decision was not for her or her council to make. According to an archaic Municipal Act, only Queen’s Park can push them toward the exit and decide what that would look like. She is hopeful the province will pay attention to local preferences — and many of those were raised Monday night. The two-term mayor started out by stating the obvious: Mississauga’s population makes up more than half of Peel, while Brampton checks in with 43 percent and Caledon 5 percent. In some confusing math, she asked, why does Brampton get 29 percent of seats on council and Caledon 21 percent (five councillors)? This, she suggested, is proof positive of the wonky structural model put in place by past provincial governments. But the numbers actually make sense; Mississauga has about half the current population and half the seats around the regional council table. The regional tax levy is skewed to hurt her city: Mississauga pays 60 percent, Brampton 34, and Caledon 6, according to Crombie. In a report prepared by city staff under manager Janice Baker, it claims the city offloads $85 million more in regional taxes per year than it would as an independent entity. Multiply this massive fiscal imbalance over the years of partnership and you get a figure near $1 billion, said city officials. In 2003, Mississauga hired an outside firm to measure how much it overpaid to be in the region, and came up with $32 million per year. The amount has nearly tripled since then, it claims. While all options are on the table in the review of regional government by the Ford team, Mississauga is counting on full independence. Crombie said leaving the region is based on finding its own identity and fully servicing its citizens. It’s about controlling the city’s fate, finances, and land-use planning without having to take dictation from regional government officials. City officials spelled out 10 reasons why it wants a go-alone strategy in its executive summary, and all driven by its One City, One Voice mantra. The word fairness kept coming up in presentations, focused on the point that Mississauga should not be subsidizing Brampton and Caledon to the amount of $85 million per year (and climbing). This, they said, would lead to better decision-making, increased accountability and transparency, improved customer service, one set of rules, procedures and bylaws, one set of fees and charges, greater access to funding and respect – the authority it deserves as the third largest city in Ontario, behind Toronto and Ottawa, and the sixth largest in Canada. While the father of regional government (Davis) and its biggest critic (McCallion) weren’t in attendance Monday, a huge crowd called Mexiters was there, a takeoff on the Brexit term as Britain battles for independence from the European Union. Community activist and medical researcher Sue Shanly urged caution, and asked why the province is rushing the process. “It’s just so complicated,” she said. There was also the question of a Deloitte report recently issued by the Region, and jumped on by critics of Mississauga’s plan — especially Brampton Mayor Patrick Brown, who live-tweeted his thoughts during the Mississauga event. 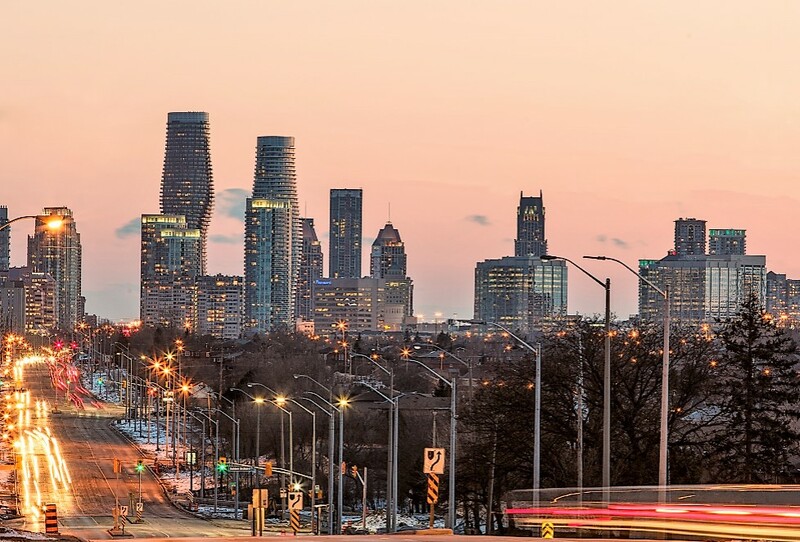 The third-party report by Deloitte disputes Mississauga’s figures, suggesting the best path forward for the region is to stand together and look within regional government, to see where savings can be found. The Deloitte report said Peel Region could realize more than $200 million in savings annually through efficiencies. It further states that if the Ford government recommends amalgamation of Mississauga and Brampton, it would cost upwards of $676 million in extra levies over 10 years, plus millions more to dissolve the region. Dueling reports, with huge numbers seemingly at odds with each other, didn’t sway Baker’s opinion that her city has its facts correct. She rejected the notion that the status quo is best for all parties. Then it was Tahiri Qureshi’s turn at the podium. The middle-aged resident brought the crowd to life with his cheerleading antics. He opened his presentation by noting that the “One City, One Voice” concept is amazing, and then urged those in attendance to take the message of independence out to others. “Do you love Mississauga?” he said, turning around to wait for the crowd to respond. “Say it louder,” he urged. Crombie was captivated by the online questions and even noted Brown's responses. She said his musing on the Deloitte report “was being disingenuous.” She charged that her rival mayor’s claim that Brampton actually paid for Mississauga’s growth was “laughable.” She also discounted the idea that Mississauga would have to pay a reconciliation fee to Brampton if it is allowed to go it alone. “There will be no compensation,” she promised. Crombie admitted the breakneck pace at which change is taking place is a hallmark of the Ford regime, which spent little time in gutting Toronto City Council after the June provincial election. Ford eliminated the public vote to choose a new regional chair during the summer – a shot across the bow at Brown (former leader of the PC party of Ontario, and author of the tell-all memoir Takedown, which in great detail points a finger at the actions of many of Ford’s current lieutenants). It’s widely believed that Ford is being driven by old grudges and this is largely the reason for the province’s deep dive into the regional tier of government. 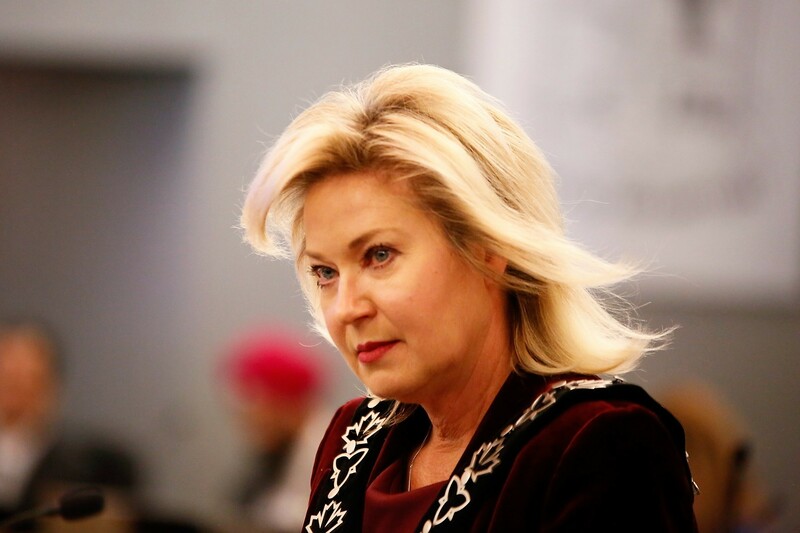 The Mississauga mayor said it was important to get plenty of public consultation done before the Seiling-Fenn report reaches the desk of the Premier, and when (if) the city's (and region’s) future is decided this summer. While Baker said there have been examples of successful dissolution of local government models and the creation of new ones in jurisdictions around Montreal and Edmonton, for example, the new governance model that emerges will frame her city’s future for years to come. There was even a touch of humour to the evening, when Crombie went around the council table asking each member for a short summation of their thoughts on independence. 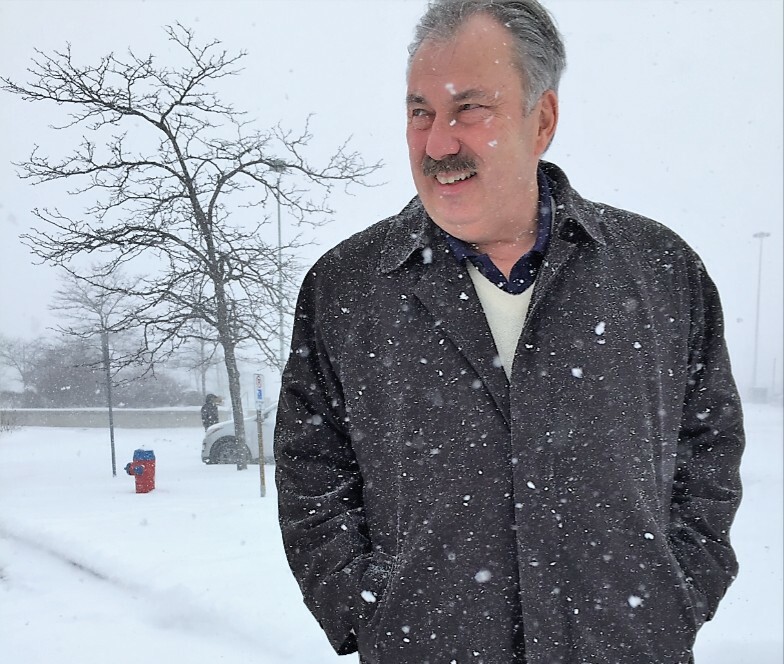 Ward 11 Councillor George Carlson said, “We’ve been talking about this for 20 years.” He added that having two tiers of local government is like owning two homes and living part-time in each. You get up, go to the bathroom in the other home, then come back to get dressed. He also compared the time when the regional model was formulated (in the early 1970s) to the era of hot pants and jackets with huge shoulder pads. He thinks both, and the regional government model, have gone out of fashion. “If this [regional government] was a business, they would have made a decision years ago to break it up," he said. 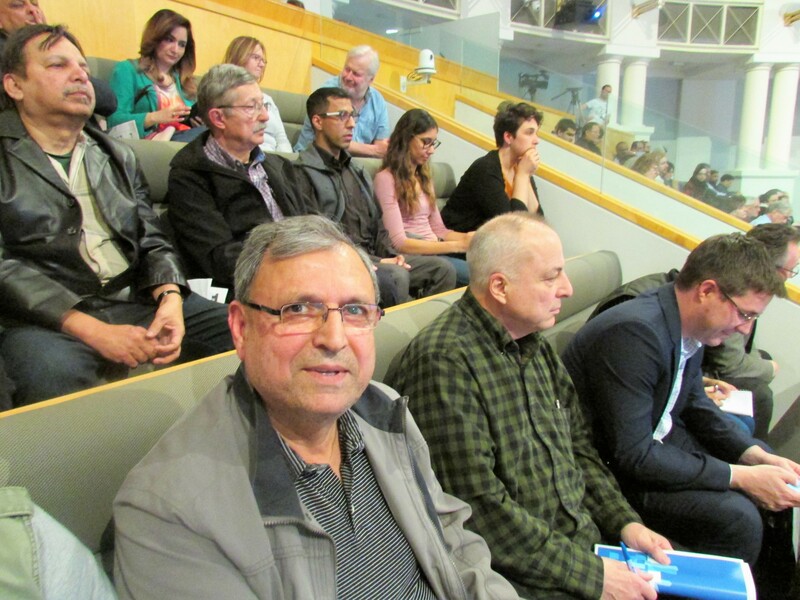 When resident Louis Mendez stated that Patrick Brown said Mississauga is being subsidized by Brampton, Ward 5 councillor Carolyn Parrish told the delegate that if that were true, Brown should be fighting for its southern neighbour to leave the partnership. Ford is driving a whirlwind of political change in the province. First, he took on a bloated Toronto council. Now he’s leaning on a two-man team to advise him on what to do with regional government. He loves the buzzwords “finding efficiencies” and hates the dreaded duplication of services. He’s shown a willingness to run his government by executive fiat. And he also owes a personal favour to his former consultant, McCallion, who backed him in the provincial vote, giving his campaign and his leadership added credence. Many residents have spoken. Their desire is clear. Will he give the long-time separatist what she’s always wanted, but couldn’t achieve while in office: an independent Mississauga? All he has to do is sign the divorce papers.